Posted on June 7, 2018 at 2:12 pm. The Turkish National Police arrested about 80 people in a recent nationwide raid on illegal gambling companies. In addition, they closed down 36 gambling businesses. The operation that took place late Saturday saw about 81 provinces in the country besieged by the police in an alleged illegal gambling raid operation. The raid is not the first to happen in the country as a similar one involving 300 police officers took place in Ankara in May. The operation, which was also a crackdown on a cartel involved in hosting illegal gambling operations ended with 39 people being detained. The said groups were also involved in weapon and drug trafficking. According to a report by Daily Sabah, the operation took place simultaneously with over 8000 police officers in action. It was aimed at clamping down on businesses in certain areas offering gambling services to local customers. Media reports indicate that some coffee houses and other venues in the 81 provinces were harbouring illegal gambling activities. At the end of the operation, the Turkish National Police arrested eight people for operating illegal gambling parlours and 159 detained on gambling charges. That aside, 36 businesses offering local customers with illegal gambling were shut down with owners being fined. 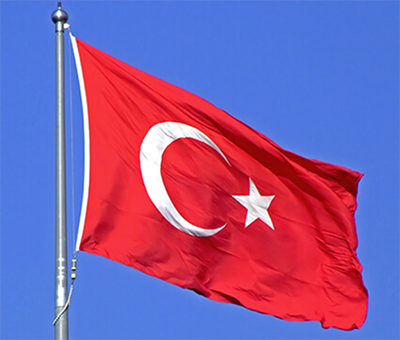 Turkey officially banned gambling in its territory in 1998. However, there are various illegal gambling parlours operating in the country and there have been calls for the state to crackdown on these activities. Though the ban is operational, there are certain exceptions as some form of gambling are allowed including state-run lotteries, online gaming websites, and sports betting. These three are the only gambling products allowed in the country. Nonetheless, the law prohibits foreign gambling companies and gambling offerings provided by companies with no links to the state. Turkey previously had a operational and very profitable land-based casino but it was closed down due to concerns that it could be used as a conduit for money laundering. The local authorities had no option but to suspend the operations as the concerns increased. The Turkish government strengthened its commitment to fight illegal gambling operations in the country getting towards the end of last year. It has since implemented a two-year plan and involved the local Police Department and Revenue Department in the crackdown. Also the local Banking Regulation and Supervision Agency, Bankacılık Düzenleme ve Denetleme Kurumu (BDDK has put in place measures including imposing a limit on mobile money transaction to check the illegal gambling operations in the country.